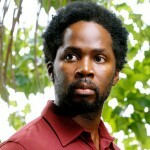 *It’s official, Harold Perrineau will make an appearance at some point on the final season of ABC’s “Lost,” which has it’s two-hour premiere Feb. 2 at 9 p.m. When we last saw Perrineau’s character Michael Dawson, he appeared to have been blown to smithereens on a freighter. But as fans of the show know, episodes are always stuffed with flashbacks, flash forwards, reincarnations and other time-travelling and life-bending maneuvers. “Lost” executive producer Damon Lindelof announced Tuesday that Perrineau will definitely be back, as will fan favorite Libby, played by Cynthia Watros. Also, Lindelof said he’s happy that the show’s season premiere will not have to compete with President Obama’s first State of the Union address. The White House had been eying Feb. 2, but in press secretary Robert Gibbs’ daily briefing on Friday, ABC News White House correspondent Ann Compton asked if the president wouldn’t mind avoiding that date. The administration has yet to set an official date for the speech, but said they would avoid Feb. 2.